At Status Awareness Systems, we are leaders in the field of end-to-end communications systems and technologies. Our expertise encompasses many different fields, which we’ll outline below. Although our primary focus is in the motorsport industry, we are well positioned to take our expertise to other fields and areas. Our expertise in embedded systems design lets us design compact, robust platforms, jam-packed with the latest and greatest hardware. Our systems are capable of connecting to an almost unlimited amount of sensors e.g. GPS, accelerometers, gyroscopes, magnetometers etc, and interfaces, e.g. CAN, RS485, SCADA etc. The wizards we keep locked in a dark room and feed occasionally live and breathe in the realm of nanosecond timing and love nothing more than solving real world problems with code. Our team has extensive experience in designing enclosures, antennas and mounting systems for the most adverse of conditions. Our products have been used globally in the harshest environments you can imagine; from the glacial mountains of Canada, to the dusty deserts of Morocco and Outer Mongolia, to the wild rivers of New Zealand. They’ve faced flooding, fire, and destruction by brute force. We know what it takes to build functional, robust, aesthetically pleasing hardware. The technologies we’ve produced and the systems we’ve designed to date, deal with real world location of assets, vehicles and data points. To this end we have extensive experience working with various mapping systems, acquisition and display of real time data and information, graphing and overlaying techniques and dealing with positioning and mapping service providers. We stay on the leading edge of geo-location and positioning services by transitioning all of our hardware to use the very latest in multi-constellation navigational chipsets, at the highest frequencies. Whether it’s split-second communication and messaging between vehicles, vessels or craft, travelling at hundreds of kilometres an hour, or establishing the location of your team in inaccessible and remote areas, we’ve done it all. Our satellite communications are truly global; there is nowhere on the planet where our technology won’t work. In built up regions, we utilise the latest in GSM (cell/phone) networks to provide constant updates of asset positions. Between vehicles, we use the latest high-frequency radio modems for instantaneous mesh networking, status awareness and communications. We understand that the beating heart of any system is its users. That’s why we design our applications to be usable for everyone, not just people who hold degrees in computing. We’ve designed applications for almost every conceivable platform, including web, desktop, and mobile. Using the latest in real-time data streaming services, we can provide users with the latest update, as it happens. Our web applications are backed up by some of the world’s largest and most reliable cloud hosting providers, providing bullet-proof reliability and the ability to scale to the world. 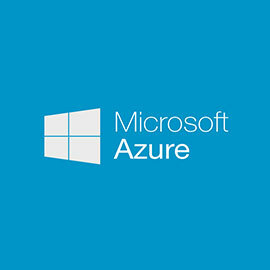 Azure is one of the worlds largest cloud hosting providers. Their reliable infrastructure lets us scale to the world and provide our apps at lightning-fast speeds. 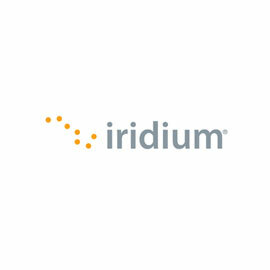 Iridium is a global leader in satellite communications. Their truly global network allows us to operate anywhere, anytime. 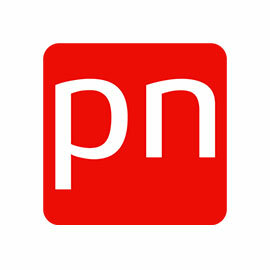 PubNub allows us to stream data updates in real time to a virtually unlimited number of devices, worldwide.